Pictures of the Year International selects judges who maintain the highest journalistic and ethical standards. We have confidence that these same values will apply as jurors for POYi. We recognize that our profession is a close network and that the judges are also working journalists. So, we carefully research and consider any potential conflicts and then counsel all the members about their obligations to be fair and impartial. Any judge with entries in a category are asked to recuse themselves. The entire three weeks of judging is an open forum for anyone to quietly observe the process. POYi conducts the annual competition with complete transparency and integrity. Session includes Spot News, General News, and specialty categories for the Campaign and Presidential elections, plus the premier award for Photographer of the Year – Newspaper. Emilio Morenatti, a native of Spain who studied graphic design, started working as a photojournalist in a local newspaper in 1989 and in 1992 he joined the Spanish news agency Efe, covering national and international events. He has worked exclusively for the Associated Press since March 2004. In 2009, Pictures of the Year International named him Photographer of the Year - Newspapers and the National Headliner Award awarded him their highest honor, a gold medal. In 2010, The National Press Association of America named him the Photographer of the Year. Emilio has years of experience in war zones, working for AP in Afghanistan, Pakistan, Israel and Palestinian Territories. While on assignment in Afghanistan on Aug.11, 2009, Emilio was injured in a bomb blast, now is back in action and based in Barcelona as the AP chief photographer for Spain and Portugal. Judy Walgren graduated from the University of Texas at Austin with a degree in Journalism. She took her first job in Odessa, Texas, with the Odessa American in 1987. Three months later, she was hired at the Dallas Morning News, where she worked until 1999. Walgren was part of a team of journalists at the Morning News that received the 1994 Pulitzer Prize for International Reporting for their series on violent human rights abuses against women worldwide. Her work for the series highlighted women and Islam and female genital mutilation. She was the first person to photograph one of the ceremonies in Somalia and the News was the first newspaper to publish photos about the practice. In 1998, Houghton-Mifflin published her book, Natinga, in which she chronicled the lives of the “Lost Boys” while they still lived in Southern Sudan. Among her other achievements are an Award of Excellence from the Robert F. Kennedy Foundation, The Harry Chapin World Hunger Awards, The Barbara Jordan Award for reporting on people with disabilities, the APME Photojournalism Award, the APME Sweepstakes Award, The Headliner Award for Feature Photography, The Texas Council Against Violence Award, Editor and Publisher People’s Choice Photo of the Year among others. From 1999 to 2004, Walgren based in Taos, New Mexico, working internationally for publications such as Texas Monthly, National Geographic Traveler, People Magazine and The New York Times. She traveled the world shooting promotional photos for The Peace Corps during the Clinton administration, was the primary photographer on Peter Jennings’ last book, In Search Of America, and worked on a collaborative book on child labor for Julia Dean and Associates in Nepal and India. She co-directed a film for Italian television about the Laikipia elders in northern Kenya and produced and shot stills and some video for a film about the Quechua-speaking people in the Peruvian mountains. In February 2004, she moved to Denver to work as a staff photographer/editor/producer/coach at the Rocky Mountain News in Denver until the paper closed February 27, 2009. While in Denver, she also taught upper level photojournalism for Metropolitan State University. When the Rocky Mountain News closed, Walgren was the only photo position hired at the Denver Post. 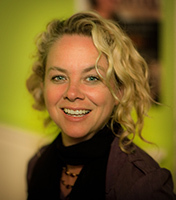 In December 2010, Walgren was invited to be the Director of Photography at the San Francisco Chronicle, where her team has won a number of national and state awards, as well as an Emmy nomination for a project on columnist Herb Caen. 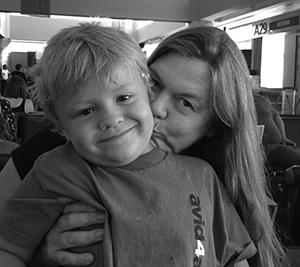 She lives in San Francisco with her son, Theo. Bill Luster began his career as a newspaper photojournalist in 1965, when he joined the staff of The Glasgow Daily Times, his hometown newspaper. 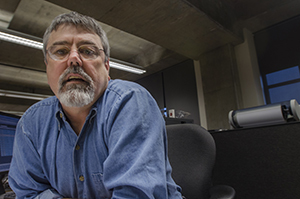 Four years later, Luster moved to Louisville where he started working for The Courier-Journal and The Louisville Times, eventually serving as director of photography, photo editor, and chief photographer. He retired in November 2011. 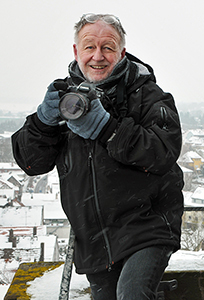 Spanning more than five decades, Luster’s photographic pursuits have meant covering local news issues, exclusively meeting and photographing a number of U.S. presidents, and travel and landscape photography all over the world. Luster has covered 48 Kentucky Derbies, four political conventions, four inaugurations, and was an official photographer for the inauguration of President George H.W. Bush. In addition, he has enjoyed exclusive access to four United States Presidents: Gerald R. Ford, Ronald Reagan, Bill Clinton, and Barack Obama. Two photo essays in The National Geographic add to his extremely accomplished collection as well as other photos that can be found in Time, Fortune, Sports Illustrated, Newsweek, Life, and the New York Times Magazine. Luster’s photographs exhibit an unfailing artistry of design and composition, coupled with humanity and a deep sense of history. Whether working in color or black and white, his photographs distill the essence of the place, the event, and the emotions of his subjects with high drama and perfect timing. He is the quintessential photojournalist. Born in 1944 in Glasgow, Kentucky, Bill Luster has been the recipient of many awards and honors for his photography. Preceding the Joseph Sprague award, which he received in July 2010, Luster was awarded the title of Sports Photographer of the Year from the Kentucky News Photographers Association at Western Kentucky University, which had previously named him Visual Journalist of the Year in 2000. He was president of the National Press Photographers Association in 1993-1994. Also in 2000, the National Press Photographers Association (NPPA) awarded Luster the Joseph Costa Award for Innovative Leadership. Luster also received the Clarion Award for Environmental Reporting for work produced in Europe in 1984. He won a Pulitzer Prize in 1976 for Feature Photography along with eleven other members of The Courier-Journal and Louisville Times photography staff for coverage of court ordered busing. In 1989 the news and photography staff was awarded for Local Reporting Pulitzer Prize for their coverage of the nation’s worst drunk-driving accident, which occurred in nearby Carrollton, KY. In 1982 he was a finalist for Newspaper Photographer of the Year. In the spring of 2012 he was inducted into the University of Kentucky Journalism Hall of Fame. Currently, Bill is president of the Kentucky News Photographers Association and a member of the National Press Photographers Association Foundation. Bill Luster lives in Louisville, KY, with his wife of thirty-six years, Linda, and their dog, Charlie. Their son Joseph lives in Hoboken, New Jersey and is a freelance writer. From January 1, 1974, until September 30, 2012, I was working in nirvana at my dream job as a photojournalist - everything from staff photographer, photo editor of several ilks and finally the last 15 years as the Director of Photography. 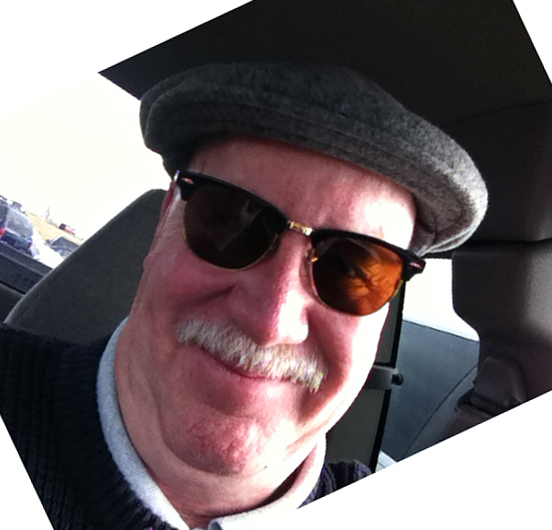 I have worked for six newspaper (Chattanooga News-Free Press, The Florida Times Union - Jacksonville, Fla, The Providence Journal-Bulletin, The Atlanta Journal-Constitution, The Chattanooga Times and finally The Birmingham News in Birmingham, Alabama). I have had the great good fortune to be an eye witness and photograph major stories from the Mariel Boat lift during Jimmy Carter’s presidency, the 1980 Republican National Convention, and the 1988 Democratic National Convention; not to mention the San Francisco earthquake, seven hurricanes, a Super Bowl and a few World Series games. But, it is the smaller stories and opportunities that make me the proudest. I have seen much of life from the point of view of the common men and women, good people I would never have met otherwise. During my career I was lucky to receive many awards, including being a finalist for the 1982 Pulitzer Prize for Feature Photography for a nine month story on a hospice helping a family deal with the slow death of their father. I am now freelancing and getting back to something I started in college - landscape photography. I am selling my fine arts composite panoramas through galleries and at art festivals. No matter whether in Inner-Mongolia, the north Georgia mountains or metropolis of New York City, people are people, with the same hopes, dreams and caring for family and friends. With the idea that our environment shapes us as much as we shape our surroundings, I look to record those everyday places and events in our lives that represent the universal truths of shared locations, experiences and emotions. Session includes Sports Action, Sports Feature, photo stories, sports editing, all Olympics, plus the premier award for Sports Photographer of the Year. Tim Clayton trained at Yorkshire Post Newspapers in Leeds, UK, his home town for a decade before moving to Australia in 1990 to take up a position as Sports Photographer for The Sydney Morning Herald, which he held for 18 years. Tim left the paper in 2008 to freelance and has traveled extensively for the past four years. He recently relocated to the New York area. His work is represented by Corbis. His many sports assignments have included eight Olympic Games, five Rugby World Cups and the FIFA World Cup. He has been recognized for the high standard of his work winning eight World Press Photo Awards, which include three first place awards in 1994, 2004 and 2007. In 2003, The Observer Sports Magazine, UK, placed four of Tim's pictures in its selection of the 50 best sports images of all time. Tim is a keen campaigner on ethics in photojournalism and is also a keen advocate on developing photo essays in sports photography to help put the profession on a par with other areas of photojournalism. Darren Carroll is a freelance editorial and commercial photographer based in Austin, Texas. 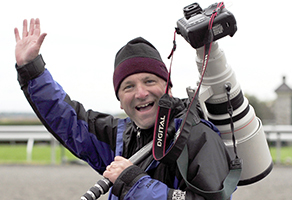 Self-trained in sports action photography while he was studying for his political science degree at Georgetown University, he has 20 years of experience in the genre and a client list that includes ESPN: The Magazine, Golf Digest, and Sports Illustrated. His portrait and documentary work has appeared in dozens of other magazines in the U.S. and abroad, as well as national advertising campaigns. After graduating from Georgetown he moved to Texas to pursue a master’s degree in journalism from the University of Texas at Austin, and he has lived there ever since. Session includes Issue Reporting photo stories, World Understanding and Community Awareness long-form projects, Science & Natural History, Books category, and the premier award for Photographer of the Year – Agency &Freelance. Born in Alsfeld, Germany, Gerd Ludwig studied Photography with Professor Otto Steinert at the Folkwang University of the Arts (Folkwangschule) in Essen, Germany, and graduated in 1972. The following year he co-founded VISUM, Germany’s first photographer-owned agency, and began working for publications such as Geo, Stern, Spiegel, Fortune, Time, and Life. In 1984 he relocated to New York, and after continuing to photograph for major international publications, signed on as a contract photographer for National Geographic Magazine in the early 1990s. His focus on environmental issues, and on the socio-economic changes following the dissolution of the Soviet Bloc resulted in his book and exhibit, Broken Empire: After the Fall of the USSR, a ten-year retrospective published by National Geographic, and The Long Shadodw of Chernobyl iPad App published in 2011. His ongoing coverage of post Soviet Russia has garnered his distinction as being the world’s foremost color photographer documenting the region. Now based in Los Angeles, Gerd Ludwig continues his work for National Geographic Magazine, photographs personal projects, lectures at universities, teaches photographic workshops and exhibits his photographs in galleries and museums around the world. He is the recipient of many photographic awards, including the 2006 Lucie Award for International Photographer of the Year. Professor Marcy Nighswander has been teaching photojournalism at Ohio University’s School of Visual Communication since 1995. She was awarded the distinction of University Professor in 1998. The award is unique at OU because students select the recipients to acknowledge them as outstanding teachers. Prior to teaching at Ohio she was a staff photographer at The Associated Press Washington, D.C. bureau for seven years. While there she was one of a team of AP photographers that won a Pulitzer Prize for Feature Photography for their coverage of the 1992 presidential campaign. She has traveled to over 30 countries while covering the White House during the presidential administrations of Ronald Reagan, George H. W. Bush and Bill Clinton. Her work has been published in hundreds of magazines, newspapers and books, including four volumes of National Press Photographers Association’s annuals, The Best of Photojournalism. Nighswander is a graduate of Bowling Green State University in Ohio. She has worked as a staff photographer at The Review Times in Fostoria, Ohio, The Beacon Journal in Akron, Ohio, and The Cincinnati Post. In 1977 she was named the Ohio News Photographer of the Year, the first woman so honored. Personal photography projects are still of great interest to her and one of the reasons she decided to go into teaching. But Nighswander’s greatest satisfaction today is preparing students to be leaders in photojournalism, and she delights in their succees. James has served as a jury member for the Tim Hetherington Award, Visa Pour L’image, the Overseas Press Club, the Getty Grant, and Photo District News. He is the co-founder of two groups SeenUnseen and Screen that are working on ways to create, support, and deliver powerful visual and narrative stories around the world. He also teaches at the International Center of Photography in New York City and recently participated in the 2012 World Press Masterclass in Amsterdam. Barbara Davidson has been a staff photographer for the Los Angeles Times since 2007. Previously, she worked at the Dallas Morning News, the Washington Times and the Record in Ontario, Canada. 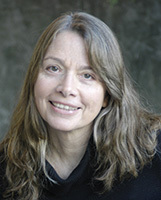 Davidson won the 2011 Pulitzer Prize for feature photography for her work on innocent victims trapped in the crossfire of Los Angeles’ deadly gang violence. Her photography from this project was also awarded the Community Awareness Award from Pictures of the Year International and an Emmy in multi-media story telling for the Los Angeles Times. She has documented humanitarian crises brought on by war in Iraq, Afghanistan, Somalia, Southern Sudan, Congo, Israel and Gaza. She has photographed famine in the Horn of Africa, the tsunami in Sri Lanka, Hurricane Katrina in the U.S. and the Sichuan earthquake in China. In addition, news assignments have taken her to Yemen, Nigeria and Rwanda and elsewhere around the globe. Her photographs were part of a staff entry by the Dallas Morning News that won the 2006 Pulitzer Prize for breaking-news photography for coverage of Hurricane Katrina. The same year, the Pictures of the Year International competition named Davidson the newspaper photographer of the year. Davidson, who worked as a humanitarian worker for the International Committee of the Red Cross, holds Irish and Canadian citizenships, was born and raised in Montreal, Canada, and graduated from Concordia University with a bachelor of fine arts degree in photography and film studies. Session includes photo editing for News, Issue Reporting, and Feature stories in newspaper and magazine print publications, plus the premier award for the Angus McDougall Overall Excellence in Editing Award. I am a photographer and photo editor, currently for Smithsonian Magazine. As a teenager, I stumbled upon the work of Robert Frank and Diane Arbus in the Harvard Square bookstore and time stood still. I decided it was the most revolutionary art form I had ever experienced and I wanted it in my life. Since then I have studied photography at UMD with John Gossage and along the way with many other generous mentors and creative souls. I have worked as a photographer for newspapers, magazines and books. I have edited books, magazine and special issues. I've judged photo contests and given lectures. Mostly, I've just enjoyed a life made richer by photography, a medium that is wonderfully suited to explore and make sense of the world and the issues that surround us. Thirty years have passed since my discovery, and I have no regrets. Scott Sines is editor of the Green Rocket News, a multimedia, digital publishing company focused on emerging trends in sustainable business practices and lifestyles. And even though no one has asked him to sign a NDA agreement, he will disclose that The Rocket will have a strong documentary element among its mix of website, newsletter and magazine platforms. The goal of his merry band of Green Rocketeers is to create a sustainable business doing journalism that matters, pays the bills, and allows the creative outlet that digital publishing offers. It’ll be a great cake if they can bake it. Prior to that he was the Associate Editor of The (Memphis) Commercial Appeal where he led the editorial effort in creating a paid digital strategy for the newspaper including: developing mobile apps for Android and Apple phones and tablets, and a paid digital subscription strategy across all platforms including the website. In the process he learned the valuable lesson that “it is hard to teach a dog to climb a tree… sometimes it’s easier to buy a squirrel.” He also managed the copy, design and photography departments. Before that he was Managing Editor at The Commercial Appeal. In two of the three years he held the post the newspaper won the General Excellence Award in the Tennessee State Press Association. And before that he was Managing Editor at The (Spokane, WA) Spokesman-Review. During his time there the newspaper managed to be a Pulitzer Finalist and four times they were recognized by the Society for News Design as one of The Best Designed Newspapers in the world; six times the Pictures of the Year Contest named The Spokesman-Review the first place sinner, er winner, in their Best Use of Pictures Category. Sines twice was named editor of the year by POY. He’s a Michigan boy who has never travelled to Europe or seen a foreign movie that he knows of. He has been married to the same pretty girl for somewhere around forty years and they have three great kids; a lawyer, a poet and an aspiring Spanish teacher. Go figure. Session includes multimedia in News, Issue Reporting, and Feature stories; and premier awards for Multimedia Photographer of the Year and the Documentary Project of the Year. 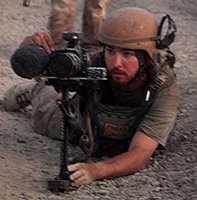 Since 2006, Danfung Dennis has covered the wars in Iraq and Afghanistan. His still photographs have been published in Newsweek, TIME, The New York Times, The Washington Post, The Guardian, Rolling Stone, Le Figaro Magazine, Financial Times Magazine, Mother Jones, Der Spiegel, and The Wall Street Journal. PBS's Frontline opened its 2009 fall feature program, 'Obama's War' using Danfung Dennis's footage. The immersive nature of the footage prompted a flurry of comment and inquiry from the Pentagon, the White House, veterans groups, viewers and was nominated for a 2010 Emmy Award. In 2010, Danfung Dennis won the Bayeux-Calvados Award For War Correspondents, was named one of the 25 New Faces of Independent Film by Filmmaker Magazine and one of the 30 New and Emerging Photographers by PDN Magazine. Danfung Dennis directed and filmed his first feature length documentary on the war in Afghanistan, “Hell and Back Again,” which premiered at the 2011 Sundance Film Festival and won both the World Cinema Jury Award and the World Cinema Cinematography Award. The film was nominated for a 2012 Academy Award for best feature documentary. Danfung Dennis is currently the CEO and Founder of Condition One, a video software company that combines advanced 3D graphics with high-resolution video to create powerful immersive video applications. Condition One licenses its software to brands, agencies, and media companies to power immersive video experiences. The company is funded by TechStars and angel investors Mark Cuban and George Kliavkoff, among others. Julie Winokur, Founding Director of Talking Eyes Media, is a writer and documentary film producer whose work has appeared on PBS, National Geographic Magazine, MSNBC and Discovery online, as well as in The Wall Street Journal, The New York Times Magazine, and The Washington Post. Her film, “FIRESTORM,” aired on KQED and the Documentary Channel and was nominated for an Emmy Award. 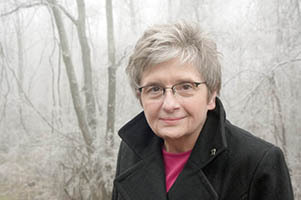 Her multi-year projects include the one-hour film “Aging in America: The Years Ahead,” and its companion book and traveling exhibition, as well as “Denied: The Crisis of America’s Uninsured,” which won the Jury Prize at the Media That Matters Film Festival and was featured on MNSBC.com. Winokur’s dynamic approach to documentary filmmaking drove her to turn the camera on herself in the short film The Sandwich Generation, in which Winokur and her husband, photojournalist Ed Kashi, chronicled their personal challenges caring for their two children and Winokur’s aging father. The film has been featured on MSNBC.com, AARP.org, MediaStorm, Good Morning America, The New York Times website, in National Geographic Magazine, and has been solicited by various organizations for community outreach and education on caregiving. Winokur’s other short films include: “Fast Lane to the Future,” documenting India’s new national expressway and its impact on the population, and “Curse of the Black Gold,” exposing the enormous costs and devastating impact of oil exploitation in the Niger Delta. Winokur’s latest project, “Bring It to the Table,” tackles divisive politics in America, and has been featured on NPR and MSNBC. Tim Broekema is a busy man. So busy that he didn’t even have the time to write his own damn biography. He had a ghost writer do it. Tim is a very powerful man if he can command ghosts. As a professor of Photojournalism at Western Kentucky University, Broekema has helped shove hundreds of students out into the real world of photojournalism and they still love him dearly. His students have won truckloads of top Hearst honors, NPPA, CPOY and POYi awards and accolades for their work. Broekema has taught them well. Apart from being the type of teacher other teachers strive to be (note from ghost writer: that will be an extra 20 bucks), Tim has a long and successful career as a visual journalist. He originally attended WKU himself back in the Stone Age. He’s worked first as a photog, then an editor at the Louisville Courier-Journal, The Providence Journal, The Kalamazoo Gazette, The Chicago Tribune and Pravda (just seeing if you’re paying attention). He is generally the consummate professional except for the time he tripped over a video camera crane while filming a room full of journalists. If he breaks out a dolly, hoist or boom during his talk, take my advice and run for the exits (or set your cameras on AUTO and wait for the hilarity to ensue.) Tim is one of the movers and shakers behind the storied Mountain Workshops held every year in small Kentucky towns. And if you can believe it, he was the Creative Director for a new regional hospital. He may someday actually perform routine gall bladder removals. Did we mention his team Emmy, his team Pulitzer, his freelance football filming, his award-winning inauguration coverage, his POY and NPPA thingys and some crazy honor from The Daughters of the American Revolution? He even won something called the Talisman Award which, quite frankly, sounds a bit frightening so don’t mess with him; sit quietly in your seats and don’t make any sudden movements. So like the old saying goes, if ain’t Broekema, don’t fixema. (note form ghost writer: I’ll give you back those 20 bucks). 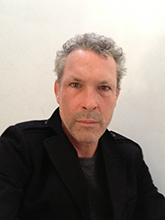 Adrian Kelterborn is an independent director and multimedia producer, working with international clients and teams. He is interested in the convergence of, not only photography, film and interaction, but also of stage production. He joined Magnum Photos' multimedia studio Magnum in Motion (MIM) in New York in 2007 as a multimedia producer under the direction of MIM co-founder and creative director Claudine Boeglin and MIM co-founder and executive editor Bjarke Myrthu. From 2009 to 2012 he was leading the MIM production, collaborating amongst others with creative director Phil Bicker. During his time at Magnum in Motion he created and produced over 100 Magnum in Motion essays in close collaboration with Magnum photographers for online and offline clients. He is currently based in Berlin, where he continues to work for Magnum Photos on specific projects. His main focus however is to experiment with mixed media forms. 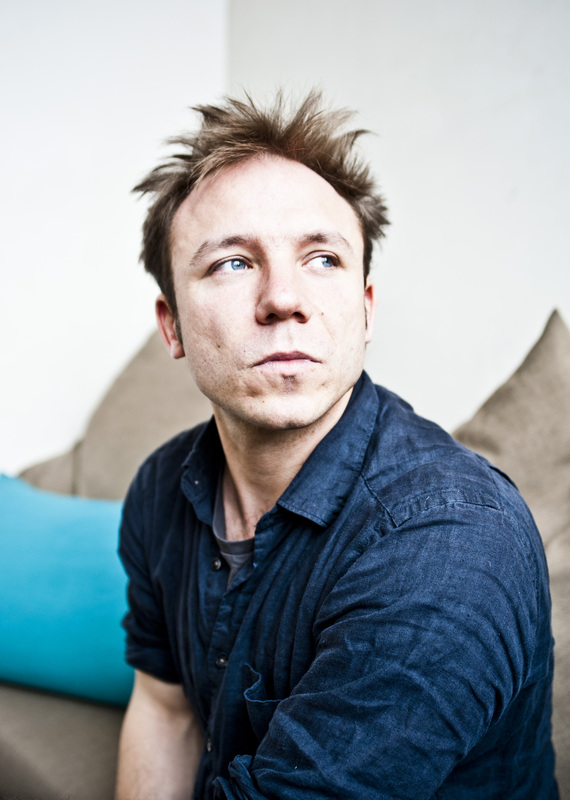 He is currently working on "Fever", a multimedia opera for visuals and live orchestra. Adrian Kelterborn frequently lectures and teaches multimedia workshops at international art schools and universities in cities such as New York, Moscow, Shanghai, Singapore, Rotterdam, Frankfurt and Istanbul.